Zune 2.5 Spring Update: Finally, Some Serious Software Updates! "Want to change the artist name on a song? Drag and drop the song to the artist. Want to change the genre of an album? Drag and drop the album into the new genre – the Zune software will update to reflect your changes. The advanced metadata editing features make it easy to edit multiple tracks or survey album and artist information. Display info about any album in your collection; right click and select ‘find album info’ and quickly find the song names, the release year, the genre and more. You can quickly and universally apply these changes. If you have an image saved to your clipbook, you can paste that image to replace the album art on any album in your music collection. You can click multiple albums and edit them all at the same time – just select them and the software will guide you through it. 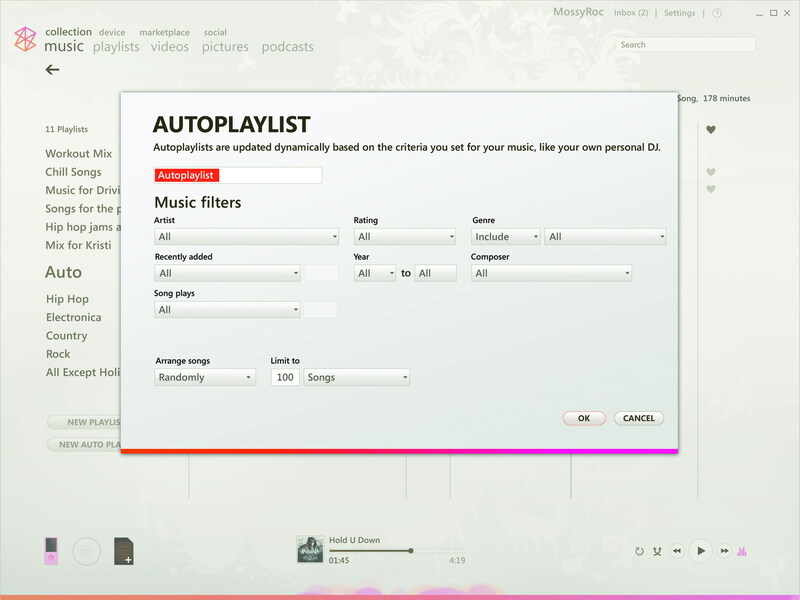 By right-clicking on any given song, you can quickly edit the artist, album, song title, genre and more." Sounds like a winner, no? I'll see how well it works tomorrow morning - and I'm really curious to see if it can read my files properly, because I'm still having some issues with my songs not showing up properly in the Zune software. I guess we'll see tomorrow!